The Pier 81 community is made up of 2 identical buildings; a North and a South. Pier 81 North is the original building and was constructed in 2001, with Pier 81 South going up the following year in 2002. Both buildings have access to the same amenities and enjoy the same views, however this site is dedicated to showcasing the North building. For more information on the south building, visit us at Pier81South.com. 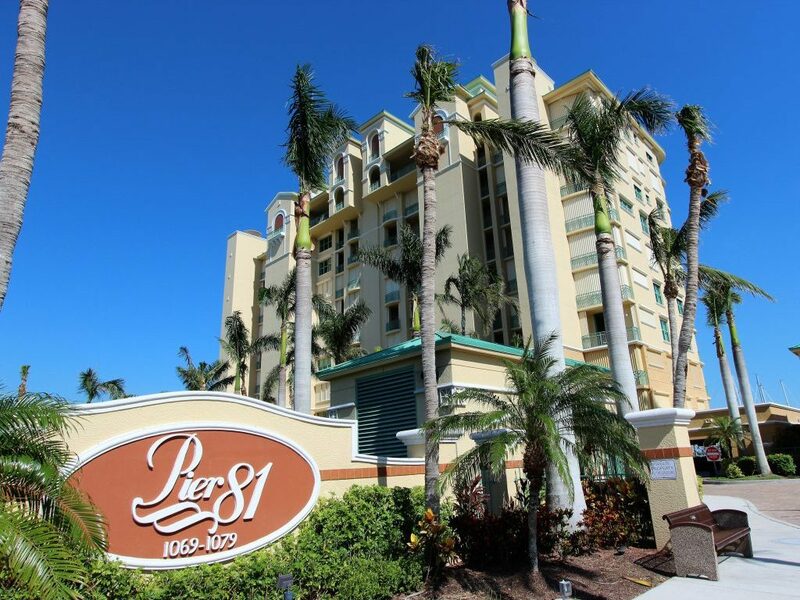 Pier 81 North at 1079 Bald Eagle Dr, Marco Island, Florida is a 38 unit bay front community. All of the units have breathtaking views of the Marco Bay and River. Dock spaces are available for lease or purchase that give boaters direct access to open water, making this luxury community a true boaters paradise. Pets: 1 pet 17″ tall or less Rental Policy: 1 rental per 30 day period.